There is a blue handkerchief lying on the floor of the bedroom I am currently living in. It is your standard issue handkerchief with a blue background and white paisley patterns. It is made of cotton, which historically has only been carried by the working class, and doesn’t have an ounce of sentiment attached to it. One might expect that such an object on the floor was simply dropped accidentally out of someone’s pocket. Or maybe it was used recently and discarded near a wash basket. But my handkerchief was neither. I don’t mean to make my handkerchief sound like some sort of rich story only found in the odes of Pablo Neruda or the lyrics of those iconic songs that we can all sing even when the radio is off. It really is just an ordinary handkerchief. But like all those thousands of things in life it can change a person’s focus, a person’s own story. There are thousands of objects that can change us. If you really think about it, all objects can change us. That little dog with the big eyes and even bigger ears changes us. The sun reflecting over a perfect glass lake somewhere that few are able to see and which carries the silence of years; the child’s eyes you see for the first time after a lifetime of wishing. It can be as simple as a poem lost for modern English but found in a dusty book exactly when you needed it or it can be a penny turned face up and the fanatical belief that good luck is finally coming. Objects have as much pull as people. Unfortunately for those with mental illness a simple object on the floor can mean the difference between finding the ability to rise and losing the fight to sleep. For those who are prey to the mundane and sometimes even ridiculous swings of a diseased mind, those objects can become the greatest sacrifices you have ever known. I talk often about mental illness. I often remind people that if you do not have a mental illness you cannot possibly understand the ins and outs of the complexity this disease thrives on. If you aren’t mentally ill there is simply no concept, no object if you will, that I can present that will show you what my mental illness looks and feels like. For many who read this posting, I simply have a blue handkerchief on my floor. What those who have mental illness know without looking is that a simple object can have a chain-like effect that can be devastating in its results. I don’t see this world like most, but rather with more colors, more depth and more feeling; and the reason I say this is because a blue handkerchief can hurt. The majority of the population sees this world in black and white, simple and complicated, math and science. I see curves and random bursts of emotion. I see the silence of a perfect day and the fear of a normal day. I see what is beyond the simple into the complex, and while it may be complicated, it is never without its simple comprehension. For often in the simple, is where I will collapse. I threw that blue handkerchief on the floor sometime last week. I know this because last week is when I had an abnormally strong episode. Typically, an episode for me can be, at least from my perspective, hidden. It means avoiding the mirror for a couple of days, watching my temper and remembering to go to bed early to stay out of the way. A typical episode for me isn’t something that needs to be reported to a therapist, in fact there is an incredible amount of comfort in these episodes. I spend a couple of days in my own world and build back up the walls for the next round. These episodes while strange to strangers, to those we love it is often simply another low on the cycle of the mentally ill; there are moments of frustration in these lows, but they simply aren’t enough to change those that are suffering. I often joke that my episodes are like labor and delivery. If the other half of the population had to have episodes then there might be incredible works of poetry but there would rarely be the mathematical equivalent. Strong episodes are defined a little differently for me. They only happen once every four to five years in my case. For some it may happen more and for some less. But for me they involve crying, suicidal thoughts, loud voices, and extravagant and sometimes dangerous behavior. As everyone and their brother understands suicidal thoughts and the vast majority of the population think they know about voices I am going to skip those in this post. Instead I am just going to concentrate on the crying. I don’t cry often. There may be some psychological explanation for this or possibly I simply have dry eyes, but the truth is I don’t cry. I don’t shed tears at sad movies and I don’t cry to the cathartic release of stress. I can’t seem to make myself cry and I can’t seem to figure out a way to trigger enough emotion to cry. Crying to me isn’t necessarily a weakness, although I don’t do it, but rather its like I simply missed that gene when I was made. So when I cry, which is about every four or five years (this doesn’t include the times that I make-believe cry to get my way) it becomes an event. It becomes the inability for me to catch a breath. It becomes soul-wrenching and the pain comes from such a deep and quiet place that the impact of its coming is equivalent to the coming of God. It becomes reddened eyes that won’t go away for hours. It becomes hours long and debilitating. I don’t know what triggers this crying. I know what can keep it going. I know the exact words to tell myself to keep me crying and releasing all that emotion. I know what to whisper and what to shout. I know that weakness that is an essential part of me. The blue handkerchief is what I cried into last week. And it sits there on my floor and reminds me not of the tears but of the little voices that didn’t understand. It reminds me of the destruction I caused right after and the person that I became. It sits there and reminds me that despite what I wish there isn’t all that much I can actually handle in my life. It reminds me that so much of who and what I am is completely out of my control. It reminds me that the episodes of darkness are vastly preferable to the killing of a soul. And my crying, the crying that contains four to five years of unhappiness, fear, agony, tiredness, defeat, and breaking points, is a killing and never a rebuilding. It destroys the person I have become in order to wipe the slate clean. It destroys the illusions I have built so that my defensive walls are barely standing. It opens all the wounds I had scabbed over for so long. It isn’t cleansing. It isn’t a restorative thing. I have to spend the next four years rebuilding all that this one cry undid. There are parts that I will rebuild differently, but there is much more that will remain the same. I will rebuild my defenses but it will be such a slow and destructive experience that parts of me will be damaged. For now, in the aftermath, I will hide but be exposed. I will find truths at the expense of my experience, and I will be hurt by arrows and daggers that are timely aimed. There will be a vulnerability to me that will continue to lessen until I cry again. There will be something fragile about me that can often be molded by those who do not know their responsibility; and it will remain until the day I let go again. Maybe there are those that will express that this is life; the continual dying and living of the very foundations of who and what we are. Maybe there is a reason that I build my defenses one pile at a time only to have it come down all at once. Maybe there is a reason that I have to die in order to live. I am not sure. 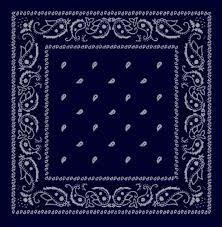 What I know is that blue handkerchief is sitting on my bedroom floor reminding me of the work that I must do. That blue handkerchief is silently telling me that my vulnerabilities are showing and once again I need to do repair. That blue handkerchief is telling me that once again I lost. I can’t bring myself to pick it up. I can’t bring myself to ignore the suggestion that once again I have fallen. Not because I wish to understand but because I have to find the strength once more. After you lose you have to find the strength to create a place where you can survive. That place, for me, is gone. And I have no idea what I will look like this time around or if the possibility of a safe haven will be even further away.